As a therapist practicing in Houston and the Woodlands I can help you overcome relationship struggles, depression, and stress due to infertility, pregnancy loss, and other pregnancy-related problems. The truth is sometimes they are far from it. You feel helpless and don’t know what to do. Transform conflict and distance into a relationship that feels good. You can create a loving and fulfilling relationship with couples or marriage therapy. Counseling can help reduce infertility stress, heal from pregnancy loss, and overcome postpartum depression. Parenthood is not always easy or fun. Therapy can help you become a more skilled and confident parent and raise more responsible and emotionally healthy children. Feel good again and more hopeful about your future. Therapy is a proven treatment for depression. You don’t have to suffer. Life can get better. Hi, I’m Dr. Irena Milentijevic. 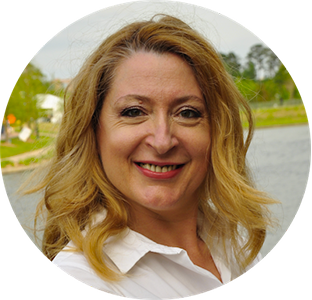 I am a psychologist in Houston and the Woodlands in Texas and I’ve had a therapy practice for over 20 years. I am also a licensed psychologist in New York and offer Skype therapy sessions to those in New York City. I specialize in counselling for women and couples who are dealing with infertility, pregnancy loss, and other pregnancy-related concerns. I also help women overcome depression and unhealthy relationships. As a parent who has been married for 22 years, I know how challenging pregnancy, parenthood, and relationships can be. My mission is to help women and couples bring back the joy in their lives and relationships. I use proven methods of individual and couples therapy to help you. To get started on having a happier and healthier journey in your life and relationship, book your appointment below.